The BioFlex Personal Therapy System works by irradiating or bathing injured or diseased tissue with Red and Infrared light in a specific sequence, intensity and duration. When effectively applied, this process initiates a series of physiological reactions within the tissue cells that leads to the restoration of normal cell structure and function. 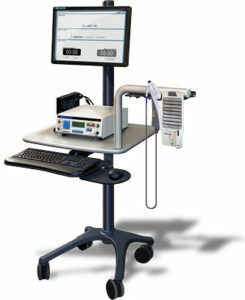 An overview of the BioFlex Personal Therapy System.